This GoFundMe page is to support the young family of our dear friend, Kyle Hart, who passed away at 33 years of age on Monday, December 10th. 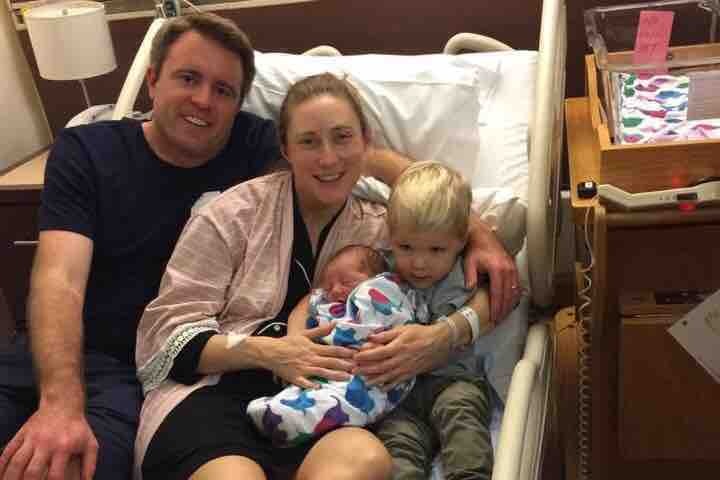 With his unexpected passing, Kyle leaves behind a wonderful wife (32) with a charming two-year-old son and beautiful newborn daughter born only three days before his passing. They are all incredible individuals who deserve the very best care, love, and support in order to get through this devastating time. Although the Hart family would never ask for help, they are some of the most loving and generous people, so we are asking others to consider donating to support the family in the short- and long-term. 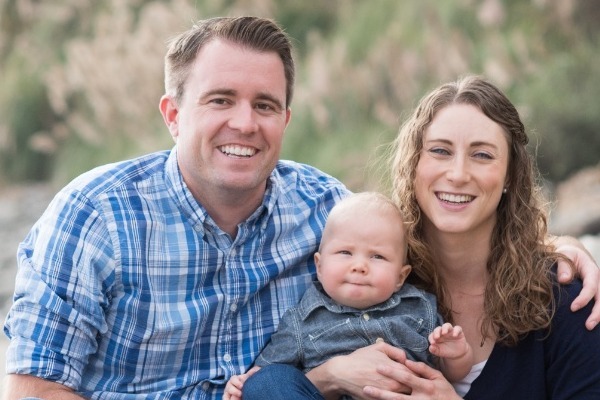 With two little ones at home, their family has many daily, monthly, and yearly expenses that quickly add up, and we want to make sure the Hart family can focus on their health and happiness rather than expenses for the foreseeable future. To anyone who knew him, Kyle was an incredible father, husband, son, brother, teacher, and friend. He was the most sincere man each of us had ever met. He was the kind of person who would give you a hug and tell you how much he appreciated your friendship. He would share anything with you — his time, his possessions, his love, and his support. As a father, he absolutely adored his young family and would do anything for them. As a middle-school teacher of social studies and English, Kyle was passionate about his students, often taking note of those who needed an extra boost of confidence and doing whatever it took to brighten their self esteem. Kyle’s passing is tragic not only for his loss of life but also for the devastating effects on his family. Please know that any amount — no matter how small — will benefit the Hart family. Whether for diapers or a college tuition, your donation will make a significant difference in the lives of Kyle’s wife, son, and daughter. May they live long, happy, and healthy lives with the help of all of us. Kyle was a passionate, kindhearted, outgoing person and was as honest as they come. When you hear that he attempted suicide, a picture of his life emerges in your mind. That picture is valid and I believe more awareness about depression, suicide, and mental health in general is sorely needed. However, that is not Kyle’s story. I have debated how much he would want to keep private, but in the end I keep coming back to his belief in transparency and honesty. Those close to him have questioned whether there was some other side to him that he kept hidden. While we are all multifaceted and complicated as humans, I can say with certainty that Kyle was not hiding anything. Now that every aspect of his life has been examined, every box of his things packed I can tell you that he had no secrets. He loved his family, his friends, his work. He struggled with anxiety after he had graduated from high school, but it was well managed during the following 15 years with a very low dose of medication, exercise, and occasional therapy. He had felt more anxiety in the months before his death and his medication had been increased. His care team and family all felt that he would feel better after the birth of our daughter. We believe that he had an adverse reaction to the medication, which made him unexpectedly suicidal. This is a rare side effect of his medication, one we don't like to talk about. His suicide attempt took everyone by surprise. The response by the Redwood City Police is a tragedy. But that was only one half hour out of his thirty-three years. I want him to be remembered for the other 284,169 hours. As the surfer/historian who could talk to anyone and brought a passion that outweighed his skill to all outdoor activities. As the guy who could be completely goofy one minute and get into a serious debate about the Islamic Empire or Civil War the next. As a loving father, faithful friend, and passionate teacher. While our community and families continue to grieve the loss of our dear Kyle, we are further saddened to learn that his cause of death was homicide due to gunshot wounds inflicted by the RWC PD. Upon arrival the two officers aggressively verbally confronted Kyle with raised guns, which caused him to move. He was shot 5 times, three hit him. While the use of lethal force was deemed justified by the DA, the inadequacy of scene management and accessibility of other de-escalation options and equipment must be addressed. Shots were fired within a minute of police arrival on scene, officers did not attempt to deescalate the situation or wait for the beanbag shotgun that arrived two minutes later. It is not reasonable that state-of-the-art equipment (body cams and other non-lethal tools) are not readily available to all officers. Kyle’s death is the 4th Redwood City Officer involved death since March of 2017. We believe that it is time that our city invest to improve and make readily available updated tasers, body cams, bean bag shot guns in every car, and review protocols related to scene management (during and after incidents) to protect and serve the citizens of this community. We respectfully request privacy and dignity for Kyle and his family. I have been completely overwhelmed by your response to Kyle's passing. Your support means so much to me and Kyle's family. As I work to rebuild our life, these donations have provided me with security and options I would otherwise not have. Just as meaningful have been your comments; they have been a small ray of light in this dark time. I don't know how to thank you all enough for your support. First of all, thank you again and again for your donations; we have reached an astounding $230k, and the numbers keep climbing! Amazing. You may be wondering why we made a $500 donation to your GoFundMe. This week, a GoFundMe team member nominated your fundraiser to receive a donation from GoFundMe as part of our Gives Back program. Every month, GoFundMe gives back over $100K to stories that move us. ....Thank you for being part of our community. How cool is that?! Thank you, GoFundMe! P.S. Please keep sharing our campaign to help spread the word!